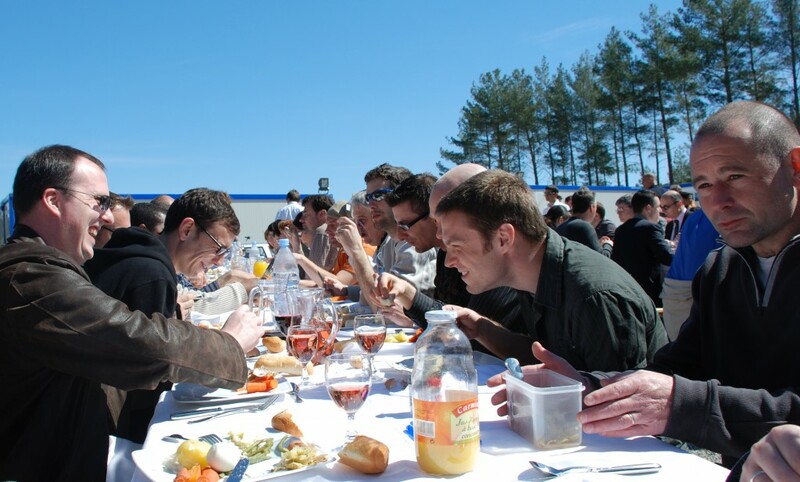 Blue sky and Aioli - the ITER team enjoying the trademarks of Southern France. Usually, garlic is not the most appropriate instrument to make friends. But when you live in France, in Provence, what else but Aioli do you offer when inviting colleagues to your house-warming party? Last Friday, bright blue sky and radiant sunshine - trademarks of the French Provence - set the perfect scene for a joyful giant picnic. A lunch-party that was organized to welcome the colleagues to the new offices in Extension II, unofficially called "ITER Top of the Hill" or - for the acronym addict - I.T.O.T.H.. 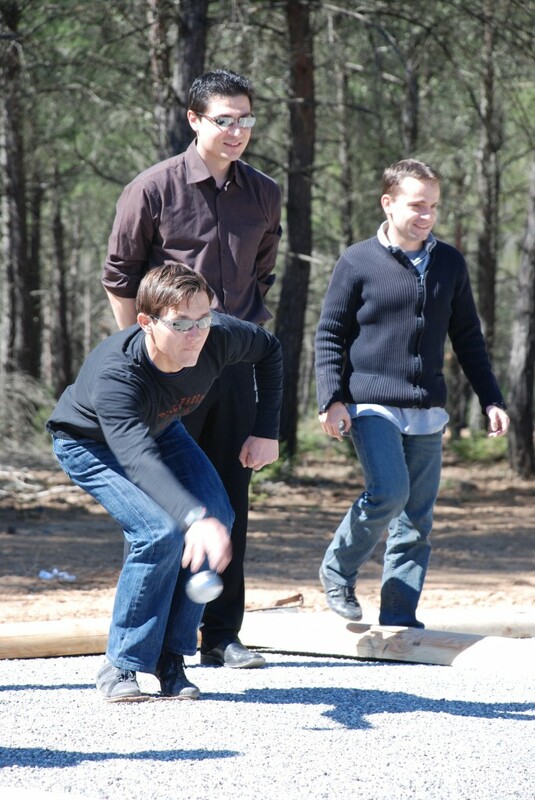 Some of the French ITER staff showed an interesting example of "best practice sharing", when they taught their colleagues from all over the world to play pétanque, the traditional French bowls game. Others just strolled around to meet new faces and then sat down on one of the long wooden benches to enjoy the food and chat with the others around the table. And even the local television and radio were there to get some first impressions of some of the non-French staff members, who were only too happy to try out their best French on the interviewers. All in all, a great way to start the Spring season.